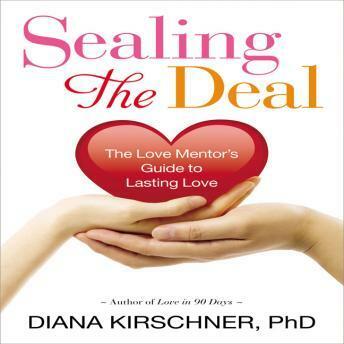 Through her bestseller, Love in 90 Days, Dr. Diana Kirschner helped thousands of women find true love. Now she has written the perfect follow-up: a unique guide to deepen any love relationship, to move from casual to committed, and ultimately to go from the anxiety of not knowing where things are going...to the security of fulfilling and lasting love.  Create irresistible attraction and an atmosphere that men love to be around.  Find out the single most important thing you can do to get a sincere commitment from the guy you want.  Keep that crazy-in-love feeling going, no matter how long you've been together.  Learn the secret to instantly resolving conflict with your man.  Know when to have "the talk": Don't think it matters when you bring it up? Think again.  Avoid the biggest mistake women make when he's "not ready" for a commitment.  Get your relationship back and better than ever, even if he has cheated. If you have love problems, Dr. Diana has the solutions. This audio book is your key to creating your own happiest-ever-after now.